Eight-Legged Critters: Are You Scared Of Them? Of course, you can! Spiders are creepy. They are ugly. And, they are annoying at the same time. Unfortunately, they are also one of the most common insects which you can find in your home. Chances are that you will see these eight-legged critters every now and then. Therefore, it is very important to get rid of them at the right time. One thing which you need to understand before hiring an expert for spider control Perth is that which the dangerous ones are so that you can immediately do something. Remember, if there are too many dangerous ones in your home you should never ever take a DIY approach and look for experienced professionals who can quickly deal with this task. First and foremost, you should take some time to find professional exterminators who can help you get rid of the spiders in your home. These professionals will quickly eradicate these creatures and apply methods which will quickly help you get rid of them. 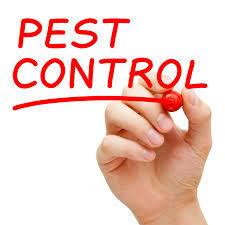 A pest control expert also makes use of different sprays that kills the spider directly or indirectly. So you don’t need to worry when you have hired qualified professionals for the task.These kinds of chemicals can also keep the bugs or other insects away from your home. Moreover, skilled and experienced exterminators usually focus on the targeted areas and they also implement tricks which will make the spiders ingest the chemicals. Of course, the objective is to eradicate the spiders, but it is the safety of your environment which one should always consider. It should never ever be compromised. From spider control to termite inspection Perth, you should only look for a qualified professional when it comes to carrying out the task.